Handwritten Script Font. Brush Font. 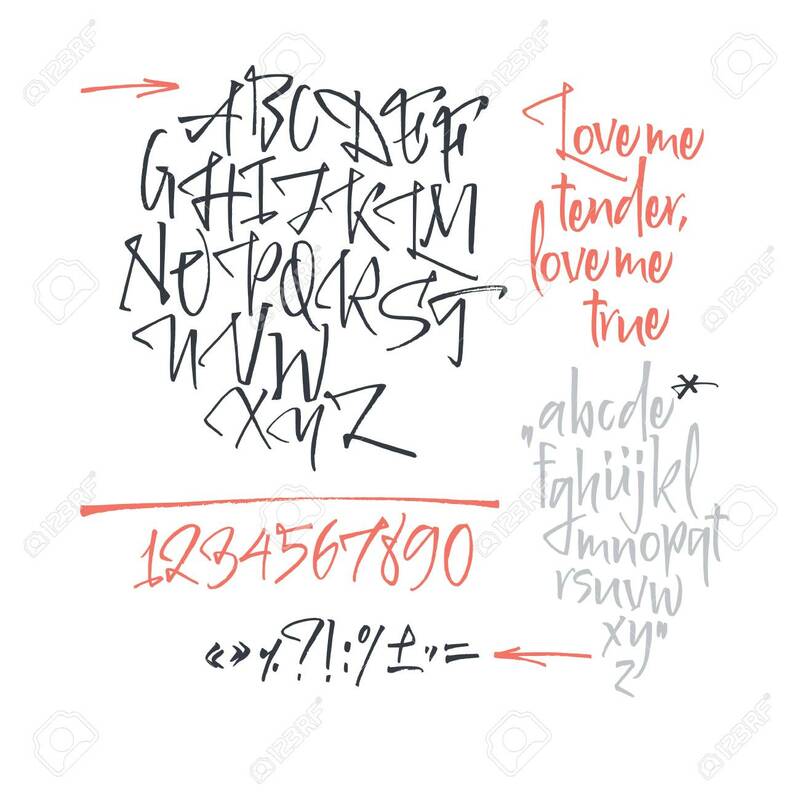 Uppercase, Numbers, Punctuation Royalty Free Cliparts, Vectors, And Stock Illustration. Image 113911793.